I hate leaving my dog in a pension! Finally I have my dog back from the pension. We stayed at my in-laws for a few days, and my mother in-law hates dogs. Our local dog pension (Roma, in Nootdorp, the Netherlands) has a great formula: lots of sofas and no cages. But of course, it is fully booked until …. 2013 (considering the fact that I wrote this in 2010…) So I bowed to the (relentless) pressure of my mother-in-law and grudgingly agreed to leave my dog in a more traditional pension. The pension building reminded me of a dog shelter (I have worked in a few over the years): a narrow corridor lined by dog pens, full of dogs that are stressed out of their mind. The barking was deafening. 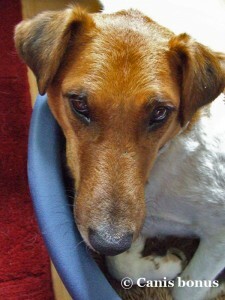 It was enough to break my heart, as my dog spent two years in dog shelters before we adopted him. I kept thinking these stressful times would all come back to him when exposed to such a similar set-up. He refused to follow my husband inside, so I had to abuse his trust in me to get him to go in. It took all his trust in me to dare walk down that narrow corridor (he was totally freaked out). I sprinkled some treats in his basket in his pen, and sneaked out. It felt like a rotten thing to do, but I knew that big goodbyes just make things worse. I don’t mind telling you, but I cried when I left that building. He was so stressed and overwhelmed he didn’t even recognize me. He stunk of urine and excrement. When we got home, I gave him a walk and a bath, and then he just collapsed, exhausted and satisfied, in his basket. After such a overwhelming few days, I was half expecting his separation anxiety to creep back up, but he’s just been his relaxed self. It left me wondering: just how much of a nasty experience does it take to throw a dog off balance? What is your experience of dog pensions in your region? Any day, or never again? If you have experienced cage-free and traditional pensions. What is your preference? 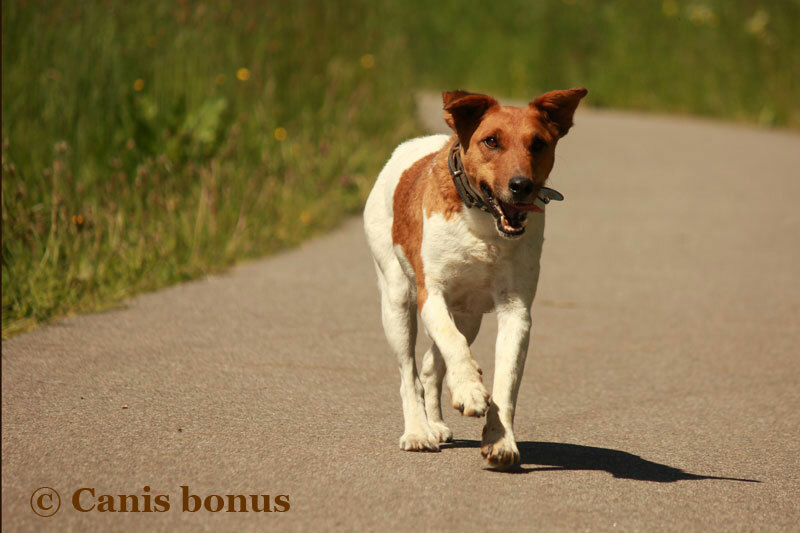 Do you ever notice a change in behaviour in your dog after returning from a pension stay? Adopting a shelter dog: a personal account – The story of Roger, the Canis bonus dog. This entry was posted in Dogs and society and tagged boarding pension, chien, dierenpensioen, dog, dog pension, hond, pensioen, pension. Bookmark the permalink. Post a comment or leave a trackback: Trackback URL. How awful for Roger that he’s had such a bad time at the pension… Shame that not all pensions are like Roma. And actually ridiculous! Thankfully, Roger was fine in the end, and seems to be really quite flexible (thanks to your good care and patience from the past years!) What are your plans for the future, next time you have to go to your in-laws? Oh thanks for the comment, Liesbeth! I called Roma, and they pointed me towards another pension in the region. I have an appointment with them mid-January to check their premises, and if I like it, I am going to book a spot for Roger over the Christmas period in January (the waiting lists here are nearly as bad as kiddie daycare!). It really made me toy with the idea of opening up my own dog pension. There is clearly a need! You are here: Home » Canis blogus » I hate leaving my dog in a pension!